I have never heard anyone call a car selfish because it needs gas to run. I know it sounds silly to say that, but everyday millions of moms go and go and go until their running on fumes. They skip breakfast to get the kids to school on time. They use their work lunch break to run errands, or if they stay at home, they don’t even know what a lunch break is. Then it’s mom’s shuttle service running all hours of the day, dinner to cook, laundry to fold, and preparation for the next day. At the end of the day, it’s time for bed, and then you wake up and start it all over again. Many times the moms I work with feel like they are juggling a hundred balls in the air. They want desperately to be a good mom, a good partner, a good friend, a good worker, and the list goes on and on. They, however, do not put themselves on the list. This can lead to exhaustion, health issues, stress, and resentment. It can also lead to broken or hurt relationships. Kids get yelled at, quality time becomes less and less, and pretty soon home may no longer be so sweet. So what can you do to incorporate self-care into your daily routine? Self-care can no longer be a luxury, it needs to be a priority. It needs to be as important as filling up your car with gas, so you can get your kids to soccer on time. Self-care does not have to be weekly massages or 2 hour bubble baths ( although it can be part of a self-care plan). Self-care can be something as simple as making sure you take time to eat breakfast and lunch, keeping snacks in the car not just for your kids, but for you, and making sure you get enough sleep at night. So now that you have decided to make self-care a priority, how can you schedule in a massage, bubble bath, a cooking class, time to write, take a nap, go for a walk, or watch your favorite show? It may take a little time at first, but the best place to start is awareness. For one week commit to keeping track of where your time is going. How much time are you spending in the vehicle, waiting at places, watching tv that you don’t really want to watch, cooking, cleaning, etc. You want to get a good picture of what categories are taking the most of your time. One statement that I make a lot to parents is that as parents, you teach your kids how to be adults. This means not only are you modeling the qualities you want to see in your kids now, but you are teaching them what is expected as an adult. Let them know that is okay to take care of themselves as an adult. Let them know it is okay to set boundaries, and that they need to have down time both now and in the future. If you are married or have a significant other, talk to your partner about your needs, and your desire to create a self-care plan. Discuss what you need help in, and how they can support you. This may mean coming up with extra money to get a housekeeper, or delegating some of the load to your partner. Be honest about your needs, and be open to compromise. Ask your kids to look at how they are spending their evenings. Many times kids are way over scheduled. Ask them what activity they want to do the most. If cutting an activity doesn’t work for your family, get your kids involved in helping set up alternative rides. Get your kids involved with making snacks, helping pick up after themselves, and getting their items ready for the next day. This teaches them responsibility, and it takes a lot off your plate. So you have freed up some time in your schedule. Maybe you have a night to yourself, a few hours alone in the day, or an extra few hours of sleep. It can be easy to fill that time up with things you feel like you should do, but put reminders where you will be sure to see them, to remember how it important it is for you to fill that extra time with things for yourself. These should be things you want to do. 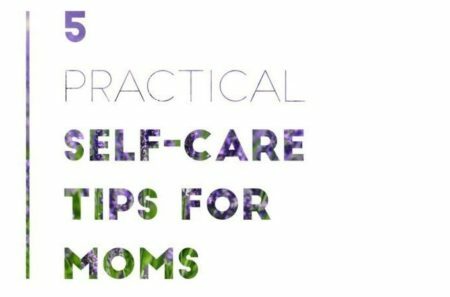 If you find yourself tired all the time, dreading the day, snapping at your kids, or yelling at your partner, these are good indicators that it is time to re-visit your self-care plan. Go back to step one and revisit each step. Make a commitment to yourself today to begin working on establishing your own self-care routine. It may take a little time to get your plan in place, but at the end of the day, you may find that you actually gain back the time you are spending on self-care by spending less time arguing, becoming more efficient, and feeling overall more positive about your life. If you need help establishing and maintaining a self-care routine, please reach out to me. I would be glad to assist you. My name is Leslie Thomas, M.S, LPC. I am a Licensed Professional Counselor with over seven years of experience working in the mental health field. My goal as a counselor is to provide a space for individuals, families, and couples to express themselves in a non-judgmental, safe, and relaxing environment away from all the busyness of the world around us. I would love to help you develop a roadmap to navigate from where you are now to where you want to be. Please feel free to visit my website for more information or follow me on Facebook.